Due to the sheer number of groups debuting every year and my sudden desire to look up older groups that I haven’t paid enough attention to, I’ve been forced to examine who I’m really truly interested in actually monitoring on a routine basis versus passively being exposed to. It’s an incredibly, potentially life-altering decision to make on a group by group basis. I mean, what if I had selected to only passively enjoy IMFACT and instead focus on UNIQ? Who would I even be as a person today? Would we even be friends? 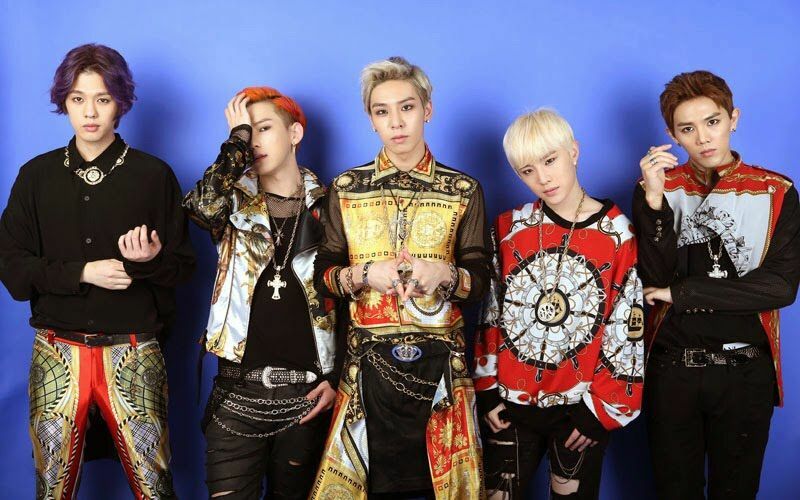 One of the groups on the list to consider is BIGFLO. They are currently a seven-member boy group that debuted with only five members in 2014 with an EP titled First Flow. The main track, Delilah, was decent with some good growly kpop rap and faux military styling. To nobody’s surprise, the members are talented and beautiful and charming. But, for me anyway, there were some missteps on choosing Bad Mama Jama as the next MV…it just seemed…silly? Between that and some changeups in the lineup, going from five to six then to four and then seven, I think I unconsciously decided that they weren’t meant for the long haul. However, lately, I’ve been wondering, if given time, maturity, and better guidance from their agency, they might be really worth looking at more closely. I mean, there are some gems in there, buried between the struggles and questionable decisions. Seeing two of the current members and one of the former members on The Unit working their butts off and then Euijin, a beautiful dancer, make it to UNB, I wondered if I’ld not given them enough attention. Maybe I should go back through their older stuff and make a more informed decision on their standing in my internal ranking system. I mean, Obliviate was really kinda great. And Upside Down kinda does it for me. I am terrible at narrowing down the list to focus on. I can convince myself that everybody is worth it. Sorry, friends. I’m going to probably keep sending you the chaff at 5 in the morning because I’m pretty sure it’ll be gold one day.